For a number of years Lucy Electric India has supported the Arpan Thalassemia Sociaty in Nashik with funds and blood donations. Thalassemia is an inherited blood condition in which the body makes an abnormal form of or inadequate amount of hemoglobin. Thalassemia mainly affects people of South Asian and Middle Eastern origin and is a particular problem in Nashik where Lucy Electric India is situated. Treatment for Thalassemia requires regular blood transfusions which, for poor families without access to medical care, can be difficult to obtain. In 2018 Lucy Electric India once again set an example of social responsibility by committing to a regular blood donation camp for needy patients in Nashik. 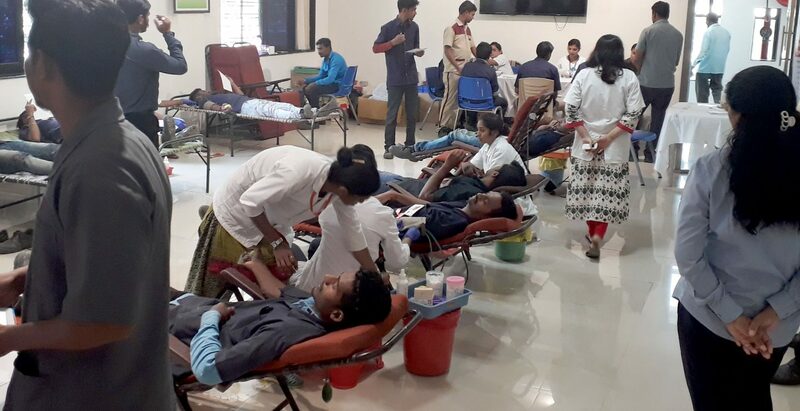 LE India arranged a blood donation camp as well as a health check-up camp in association with Arpan Thalassemia Society Nashik and Sahyadri Super Speciality Hospital Nashik. The camp was conducted in the company premises and a record 125 blood bags were donated. The blood donation camp was part of the CSR activity for Thalassemia patients and continues the campaign that started in 2012. The free health check–up camp saw 167 participants taking full advantage of the tests being administered. Tests like Random Blood Sugar (RBS), Blood Pressure (BP), Body Mass Index (BMI), Peripheral Capillary Oxygen Saturation (SPO2), Electrocardiogram (ECG) were performed and a final consultation by a doctor was also available.